Bad photo but the weather is foul out here at the moment. Great finish. Hope you're able to get a few bottles finished on 99....I'm still tempted to get it! Very nice! Planning on doing some of those designs from the little book myself. this is very cute !! Great finish Caitlin!! Super cute! That's a fantastic ornament! I wonder if they have designs for other cities. I hope you got several more bottles stitched on 99! Nice finish. 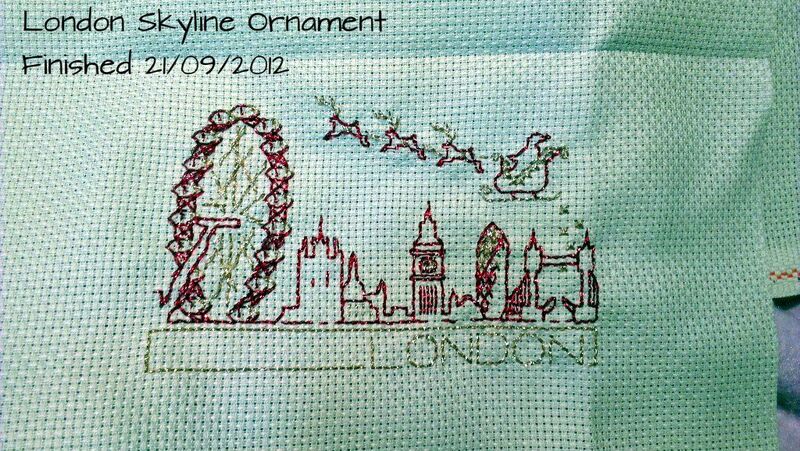 I stitched the Coventry one on blue aida last year for a friend. I found it quite tricky TBH!